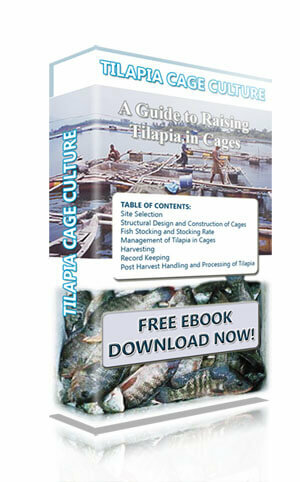 Get you copy of this free ebook I compiled which will guide you on raising tilapia on cage. That is right, you heard me, this ebook is absolutely free. The ebook is straight forward and full of information but you will be amazed of the simplicity of it’s presentation. So what are you waiting for? get a copy of your very own Tilapia Cage Culture eBook Now! Step 2: You will be redirected to a page to type the CAPTCHA code, after typing the CAPTCHA code hit “Complete Subscription Request” button. Check your email and find the confirmation link. Click that confirmation link then you will be redirected to a feedburner page saying that you have been confirmed. Step 3: Subscribe to my Newsletter by typing your email and hit the “Subscribe and Get My Ebook!” button below. Step 4: You will then receive a confirmation email for the newsletter. Again click the confirmation link. This time you will get the another email with the download link of the ebook. That wasn’t so hard isn’t it? So what are you waiting for? Do it now!